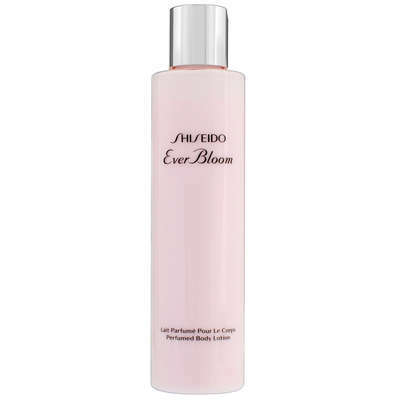 Home Brands Shiseido Ever Bloom Perfumed Body Lotion 200ml / 6.9 oz. This body lotion has a natural, airy floral scent. The top notes are lotus, jasmine and Bulgarian rose oil. Middle notes includes Tunisian orange blossom, gardenia and molecule Sylkolide, followed by base notes of hinoki wood and musk.